Whatever size your company is, you’ve likely stumbled into the issue of choosing the right attendance tracking software . 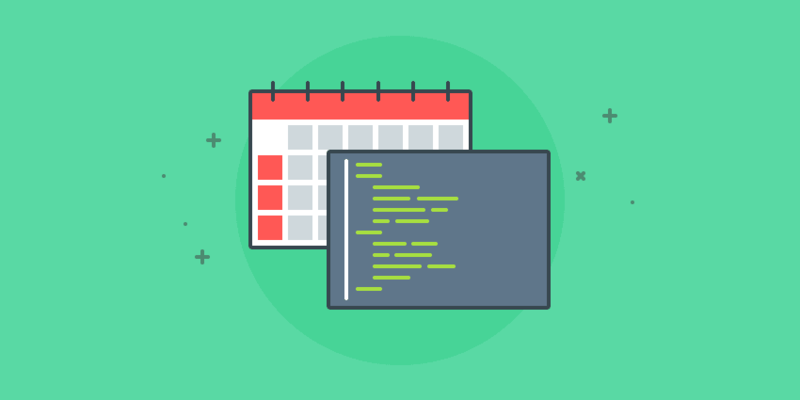 Managing various schedules and tracking your team’s’ time can be a huge time-waster itself. That’s why attendance tracking software exists. It can make your life as a small business owner or manager easier, by taking one more task off your list or responsibilities. Ultimately, attendance tracking helps improve overall productivity and human resources optimization by making scheduling and payroll seamless. But how do you choose the right employee attendance tracker? To save you from having to research different time clock software for small business, we’ve compiled a list of the best ones that are currently on the market. We’ve made sure our choices are also based on time tracking solutions that employees wouldn’t mind using. Here is an analysis of the most popular attendance tracking software solutions on the basis of usability features, tracking of hourly and monthly payment, reporting and administration options, integrations, support, and cost. Just match the best one for your particular needs, and you’re good to go. Attendance tracking can be a source of frustration for many companies, especially distributed companies, startups, and remote teams. In essence, it’s all about recording the hours that each team member worked. That’s how you can ensure correct payments, and optimize your team’s productivity. Attendance tracking software automates this process, so that human error stays out of the equation. Employees clock in and out or input their working hours manually. The tool also allows for tracking sick leave, vacation days, holidays, and paid time off, so you can easily stay on top of remaining days off for all your team members. Time tracking also gives you the power to oversee people’s schedules and actual hours worked. That’s how you can make sure each employee is working on the best matching tasks and can avoid spending too much time on the wrong tasks. PRO TIP #1: When choosing your attendance software, make sure it integrates with the rest of your work tools. Especially important are integrations with project management, payroll (if it doesn’t have one built-in), benefits system, and employee evaluation. PRO TIP #2: Your attendance software needs to be on mobile! That’s how you can make it work for you wherever you are, and wherever your employees are based. Tracking attendance is easier than ever with Hubstaff. This intuitive tool boasts a range of features that allow you to track GPS location, as well as time off and weekly hour limits. While quite comprehensive, Hubstaff is not intrusive for employees, unlike keylogging and webcam snapshots. Usability: Its easy-to-use, intuitive interface plus numerous personalization options help onboard your team in no time. With Hubstaff, tracking hours is as easy as starting and stopping a timer, which makes for a seamless learning process for your employees. Optional features can be turned off or customized based on youre requirements, including activity rates based on keyboard and mouse usage, random screen capture, and website and application tracking. Business performance: You can also set budget and hours limits for projects. Hubstaff integrates with premier payroll providers such as PayPal, Payoneer, TransferWise and Bitwage, so you don’t need to exit the app to pay your employees. These features, along with automatic payroll and attendance scheduling, are all at your disposal. Reporting: Automatic reports can be customized, sorted by different criteria and downloaded. You can view reports for individuals, teams or the whole organization based on weekly limits, project budgets, attendance, and more. Project work hours can be easily accessed so you can evaluate the profitability of client work. Integrations: Hubstaff has more than 30 useful integrations, that allow you to track time in Trello, Asana, Basecamp 3, GitHub, and others. Support: Guides, walkthrough videos, FAQ and timely support ensure a seamless experience with the tool. Customer service is available via chat, email, and support tickets. Cost: Starts at $5/month per user, 14 days free trial. 60-day money-back guarantee. 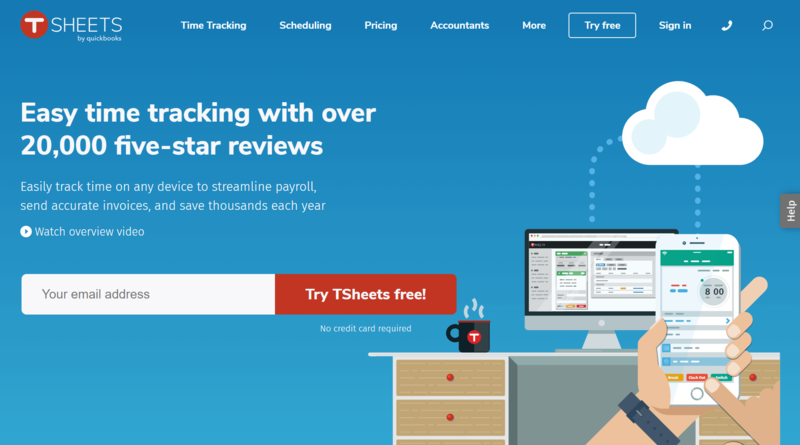 Tsheets is one of the popular attendance tracking software tools on the market. It is a top choice for teams that are often on the go and are tracking their time on mobile. Usability: Tsheets has an easy onboarding and great user interface. User guides are available to help you master the system. Options: The tool allows for accrual tracking, vacation and time off requests within the system. Employees can track time dedicated to specific projects. Tsheets records the location where work is performed and sends overtime alerts to team leaders. Time clocking can be done offline too by managers — and synced later. Scheduling and shift assigning is also available. Reporting: Tsheets provides managers with reports on time cards, payroll systems, approvals of days off and projects. The information can be filtered by time frame, payroll period, team member or multiple members and project. You can easily zoom in to the whole company view and down to a single employee’s stats. Integrations: Tsheets offers calendar support and integrations with QuickBooks, Square, Square Payroll, Gusto, ZoomShift, Flint, Results, Earnin and Cougar Mountain. It’s not compatible with traditional clocks. Support: Support is available via chat, email, phone and FAQ section. Cost: $20/month base fee + $5/month per employee, 14 days free trial. Another popular attendance tracking solution is uAttend, which also offers hardware attendance systems. It’s perfect for small businesses with one location, but can be used for companies of any size. Usability: uAttend is cloud-based, so there is no installation needed. Onboarding is relatively easy, while user experience can be rated as medium. Options: Employees can request time off through the system. You can manage accruals of vacation and sick leave, create and manage time cards, track hours spent on different projects, export data into payroll systems, take care of scheduling and shift-making, and receive attendance notifications to monitor employees’ tardiness and hours. Reporting: The tool provides managers with an overview of the hours worked by each employee and the paid time off they have taken for certain time frames. Integrations: It’s compatible with time clocks and integrated with a number of payroll systems, including ADP, Paychex, and QuickBooks. Support: Customer service available via live chat, phone, and email. Cost: $18/month for companies with less than 10 employees. No free trial available. Kronos Workforce Ready is one of the stable players in the attendance software space, but it might seem a bit old school for more modern enterprises. It offers hardware systems, as well. Usability: Workforce Ready has a rather simple user interface, though it is a bit outdated. In this sense, it takes more time to get used to working with it and it can be overwhelming for employees. Options: The tool offers embedded payroll, accrual tracking, logging of hours to specific projects, scheduling and usage of badges for signing in. Reporting: Performance and productivity tracking are integrated into reports. Audit trails are available too. Integrations: The tool is DCAA compliant and is compatible with most payroll systems. Integrates with SuccessFactors® Employee Central. Support: Support is available via phone and email. Cost: Quotes are available after applying online. Our last pick is the TimeAttend software by Replicon. It’s a good choice for companies who mostly hire salaried employees. Usability: TimeAttend’s user interface is not the best on the market, but is certainly better than many solutions out there. The demos, free trials, and implementation seminars help out with onboarding and successfully setting up the system. Options: The tool helps you with labor laws compliance, scheduling, overtime monitoring, absence management, and vacation and days off tracking. Both freelance and salaried employees can track attendance with it. Managers can set up different alerts. Reporting: Timesheets can be exported as CSV files to accounting and payroll services. Reports can be filtered by different factors for a complete overview of your team’s work. Integrations: TimeAttend integrates with a range of time clocks and with ADP, Oracle, SAP, Ceridian, Paychex and PeopleSoft. Support: Support is available via phone, email and live chat. Cost: Starts at $8/month per user, 14 days free trial. Attendance management software can be of real help for streamlining processes in your company – from monitoring and improving your employees’ productivity to automating timesheets and payroll. The review of these top 5 tools can guide your choice in the sea of options out there. What are the most important factors for selecting your attendance tracking software? We’d love to know more! This post was originally published August 25, 2016, and updated January 2019. Remote working monitoring software has become a key concern for businesses globally. The reason is because companies are going global with a vengeance – a founder based in Silicon Valley, California; programmers based in Bangalore, India; marketing teams sitting in Madison Avenue, New York; and distribution teams based in Europe are not a pipe dream anymore….